Our outdoor nursery is overflowing with fall harvest decor! We are especially excited about all of the new varieties of pumpkins that we ordered in this year! So much so that we decided to get a little creative with them! 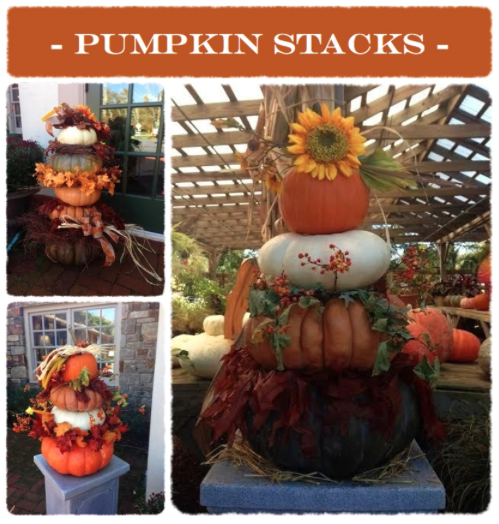 Pumpkin stacking has been sweeping the Pinterest world, and we just had to get in on the fun! So each of our designers took part in putting their own creative spin on the trend. 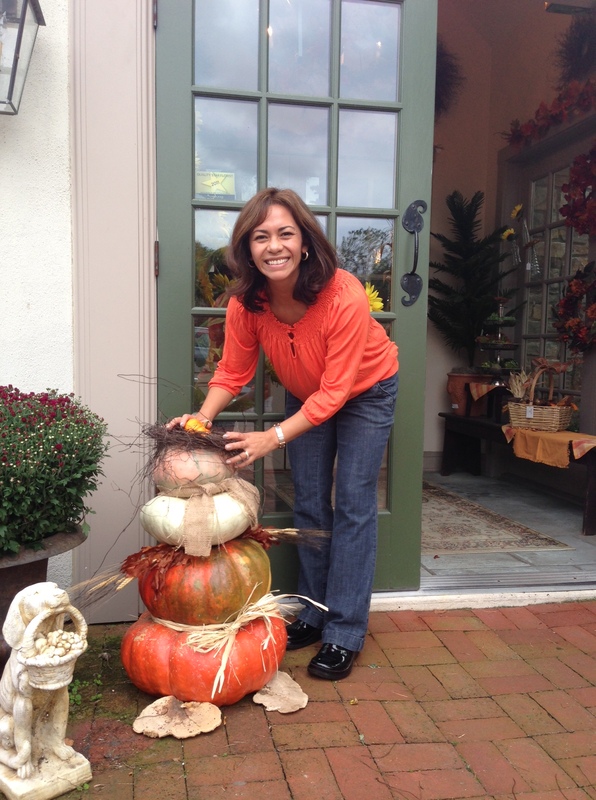 Meet Ivon and her pumpkin angel!